Dedicated to supporting the Mosaic Cultural Center in Rivas Vaciamadrid, Spain. Watch the Love Spain campaign video! This "Love Spain" website is dedicated to supporting the Mosaic Cultural Center in Rivas Vaciamadrid, Spain via the Love Spain campaign. The Love Spain campaign seeks to raise awareness and funding to benefit the Mosaic Cultural Center and mobilize people to support the Mosaic Cultural Center as volunteers or to actively take part in fantastic special events undertaken on behalf of the Cultural Center. We invite you to join an event or donate to help us in this strategic and exciting outreach opportunity! Help us love Spain! Citizens of Rivas Urbanizaciones place great importance on cultural understanding and activities. We want to support important community events and activities that create more opportunity for mingling between people of different backgrounds and economic levels - in ways that are fun, engaging, and thought-provoking. In the future, the Cultural Center may also contain a permanent cafe that is inviting to all - a place where relationships are formed and fortified. Migrants and refugees have a tremendous need for advocates to help them learn how to survive and thrive in a new culture. Many need help with translations, gaining legal papers, and employment. The poorest may have basic needs - food, shelter, clothing. Training will focus primarily on children and youth, especially those coming from migrant, refugee, or disadvantaged families. Many of these students need after-school help to be able to catch up with other children especially in language and computer skills. Many adults need job and life skills training. 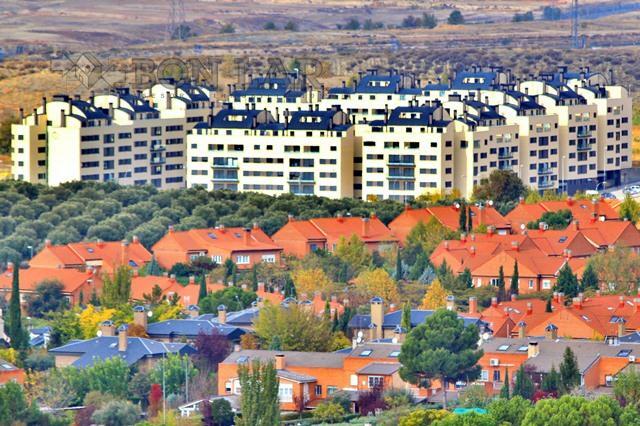 Rivas Vaciamadrid is a fast-growing suburb of 85,000 people just fifteen kilometers to the southeast of Madrid. It is predominantly middle and upper-middle professional class with good town planning, parks, and facilities. Citizens live in a mix of single-family homes, duplexes, condominiums, and apartments. The municipal government is very determined to support an active, outdoors, sports-oriented citizenry and a wide variety of cultural events. Rivas Vaciamadrid is emblematic of the new Spain - vibrant, energetic, modern, forward-looking. Increasingly, like the rest of Spain and Europe, it is also home to migrants and refugees. Just recently, Spain surpassed Greece as the recipient country with the second largest number of migrants in Europe. In Rivas Vaciamadrid, most migrants and refugees settle on the "other side of the tracks" for many kilometers along an ancient shepherd's trail called "La Cañada Real." For an eye-opening account about "La Cañada Real" broadcast on BBC radio, listen by clicking here. Today, children and youth from Rivas Vaciamadrid and La Cañada Real share the same schools and parks. Parents shop in the same malls and ride the same public transport. Below are two shots of Rivas Vaciamadrid with La Cañada Real adjacent - contiguous, but culturally, socially, and economically a world apart. Several years ago, we began working in Rivas Vaciamadrid with underprivileged children and youth - mostly sons and daughters of migrants and refugees struggling to make ends meet - including some from La Cañada Real. We started with after school language classes in a small, rental walk-up in an apartment block. We called our initial effort the Logos Learning Center. Through Logos we were able to meet children and their parents from many places - Romania, Morocco, Latin America, Senegal - and our hearts were touched. Recently, a team of us, including Spaniards, Latin Americans, and people from the United States - all living in or around Rivas Vaciamadrid - decided together we needed to start a more formal cultural center to help bridge the gap - culturally, educationally, legally - working with the broader community of Rivas Vaciamadrid to help those from La Cañada Real and other "strangers in our midst" integrate and achieve a better life. Our personal costs are already paid. We have the will and desire to move forward. We invite you to read on and learn how you can accompany us on this journey to raise the funds required to provide more extensive services as we launch our dream - the Mosaic Cultural Center. Join the "Love Spain" campaign.